Dětský klub Fontána is a centre for family activities. 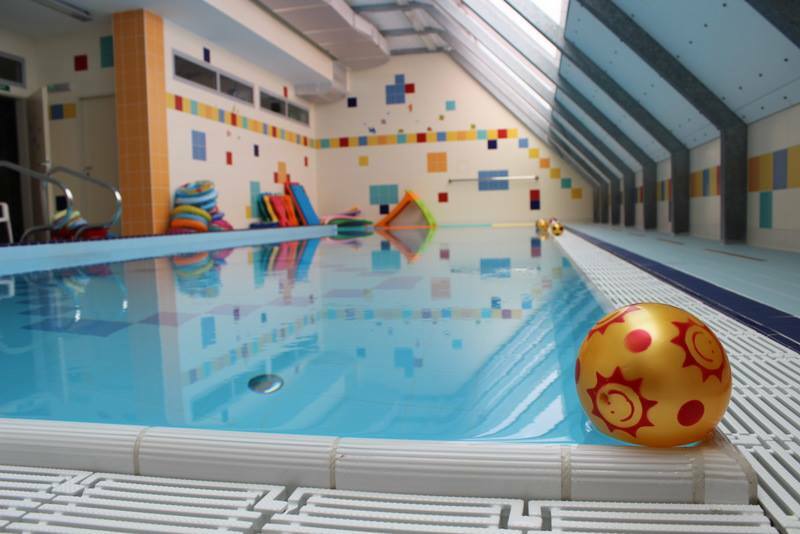 Primarily, we offer swimming courses for children from 6 months to 9 years of age, summer and winter suburban swimming camps, physical activities for adults, babysitting with minischool and many other activities. Our instructor team is led by the owner of the club, Mrs. Dana Bártová. The course instructors are Táňa Ryšavá a Lenka Kunová. 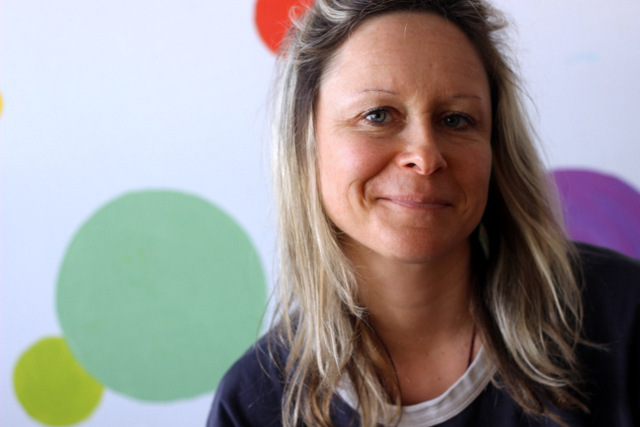 The owner of DK Fontána, the instructor for swimming and Small musician. 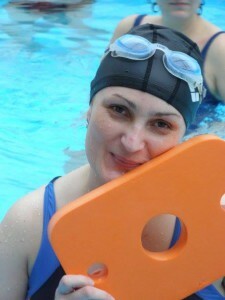 The instructor for swimming and the leader of minischool and exercises for adults with children. In 2001 I took a course, met great people and my life began to take a completely different direction. After massage practice and another course for physiotherapists in Prague I had been trying to find work in this field and I came to swimming for infants. 🙂 After watching a presentation video for children underwater swimming I suddenly knew what I wanted to do and what my calling was :-). 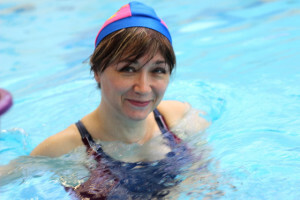 In 2003 I took a retraining course with Mrs. Kiedroňová in Třinec as an instructor of swimming and exercising for infants, toddlers and pre-school children. From 2003 to 2004 I worked at DK Kenny and from 2005 I’v been cooperating with DK Fontána. My other activities include massages, physical exercise for adults with children, minischool, babysitting, swimming camps, swimming in the bathtub – simply all activities with children. The instructor for swimming, Baby massages and babysitting. My original profession is a nurse. But in 2001 I left this work and since then I’ve been working only with children. I’m an instructor for swimming, I can do baby massages and aromatherapy. When I’m not swimming and don’t instruct mothers about baby massages and aromatherapy, I babysit. During babysitting (usually in-house) we do the following activities with children: painting, creating, cutting, gluing, decorating, but also reading books and discovering new stories. During work with children I utilize my longtime professional and personal experience and I like my work very much. The instructor of swimming and bathing for children, lifeguard, paramedic. After finishing all courses I’m very glad that my dream came true and I can work in this field with the most precious commodity – our CHILDREN. This works satisfies me and it has the most meaning for me. My other beautiful activities include bathing the smallest babies (up to 6 months of age) and baby massages. The instructor of swimming and bathing for children. For a long time, I’ve been thinking what to do for a living. I’v tried teaching children English, dancing with children and other activities. I didn’t know anything but one thing was clear – work with children. I studied a school of education and I found out that working with children fully satisfies me. In 2014 I’ve been certified and several months later I began with baby bathing, which I continue to do. Because of my bad experience with children clubs I’ve been searching for a long time for one that I could recommend to moms. The approach of instructors at DK Fontána took my interest and I kept hearing only positive feedback. So I started working in a big swimming pool, I met interesting people and I keep being enriched and getting more experience.